CLASS OF 2020 WE REGRET THAT WE HAVE MADE THE DECISION TO NO LONGER HAVE A MODEL PROGRAM. PLEASE CONTACT US DIRECTLY FOR OTHER MODEL PROGRAMS WE KNOW OF. WE WILL BE STILL PHOTOGRAPHING SELECT SENIORS. VISIT OUR PRICING PAGE FOR FULL DETAILS. A while ago I found my joy working with teens and young adults. My front porch, house, studio and backyard was the place where my kids and their friends would hang out. Here, I would listen to their adventures. That love of having a houseful of teens, and countless volunteer hours in the local high school has morphed into our Team Model program. The Elite Eight is a program that selects a VERY limited number of high school juniors to represent the studio and participate in TEAM parties that include FUN styled photo shoots! BUT, not only that.... the team meetings help you build self confidence, teach you to become a role "model" for others, introduces you to new friends from the area, AND helps the community. With an added BONUS of lots of cool pictures for social media, a 1/2 price senior session and an ability to earn more credits for more prints and pictures! The team will start around the first of the year with a team meeting and goal setting party where you will learn about realizing your dreams and goals, as well as meet the other model members. We will set not only personal goals, but goals for the team as well. Then, we will plan our photo shoots and community service projects......together! Community service projects coincide with each styled shoot .You do get community service hours to fulfill your school community service requirements for graduation! Sounds Fun! How do I apply? 1. Fill out the online application below. We will go through all the applications we receive and make a decision. Remember, we are only taking Eight team members this year and have LOTS of interest... so do it now! 2. We will then contact you to sign the contract and pay the deposit. The deposit is the same for any senior session we book. And, 100% is credited to your senior session. 3. Be ready to have fun, learn and grow, all while helping others. Remember... You DO NOT need to be "traditional" model thin or model beautiful to be a part of Team Seventeen. We know how to make you look AMAZING in photos! We are looking for seniors who are involved in their school, involved in their community, love photos and social media, want to learn and grow as a person, care about others and are beautiful on the inside! A "model" person that wants to learn how to be a role "model" to others. - A Half Price Luxe senior session of your choice (see the pricing tab to see what sessions we have and how many images/files it includes). - More FREE stuff! Including social media images, booking referrals and credits and swag bags! - Ability to earn credits toward your senior photos . - Participate in some of our monthly styled sessions and community service projects. - Represent the studio at your high school (NO high pressure sales allowed, just tell friends where you are going). 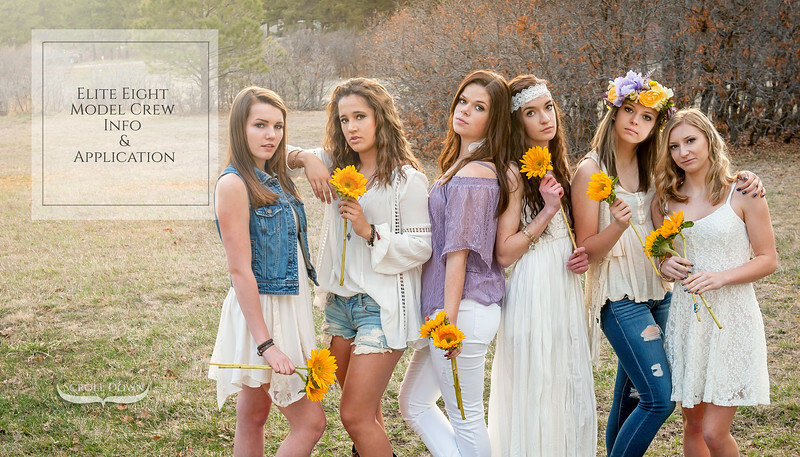 - Show off your awesome photos from the Stunning Styled Sessions and your senior session. - Have your senior portraits taken by Michelle Kroll Photography the summer before your Senior Year Starts. We know you are, everyone likes great photos and to feel like a star while helping the community and making friends! To apply for Elite Eight Model Team just click to fill out the form! We always fill our model positions and they go fast so act just as fast and apply today! 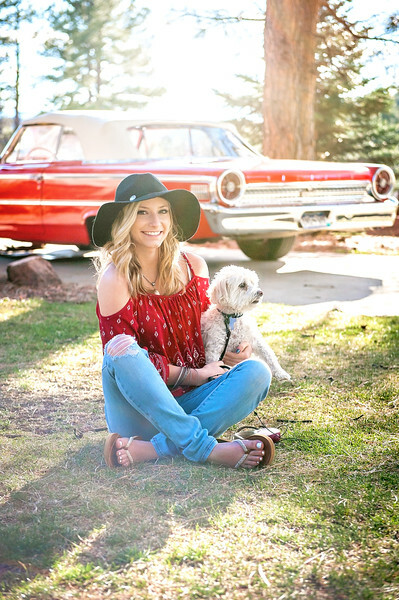 Check out our slideshow below from a few of our Class of 2017 Senior Model Styled Sessions. All new creative styled sessions are in the plans for the Class of 2018! Have some questions or need more information before applying? Please feel free to email us!